Product code: 677 Categories: Sold Items, Sold Rings. This ring is such a perfect design for an engagement ring. Made in 18ct white gold approximately 10 years ago, it is set with a beautiful 1.53ct Emerald cut diamond, colour F and VS1 clarity – meaning it is a very nice white and clean stone, then the ring has 1 fabulous triangular cut diamonds set on either side, giving it a fantastis style. 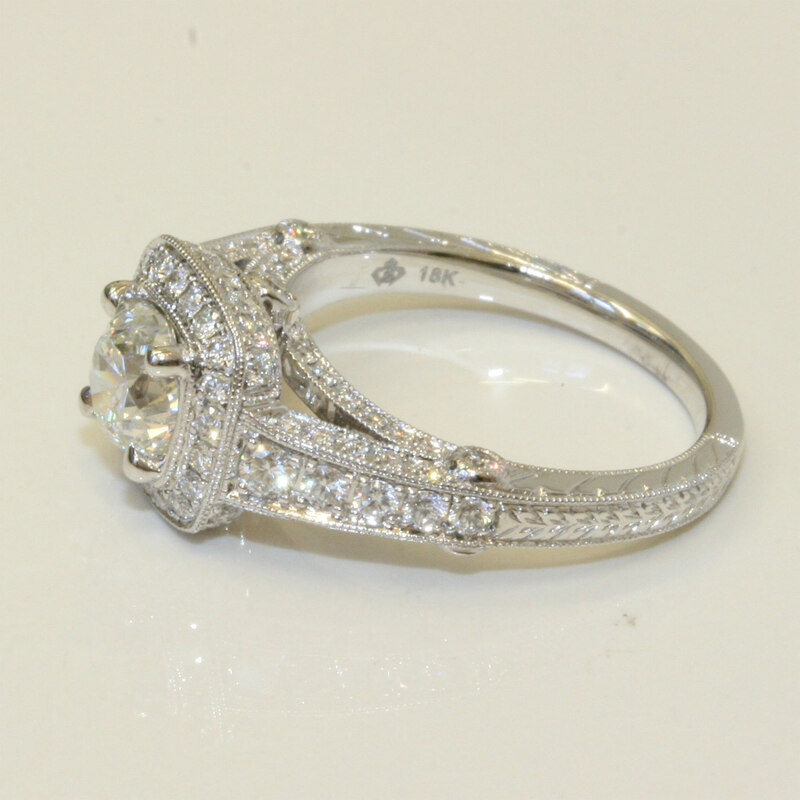 The side diamonds weigh 0.60 carats in total and are E colour Si clarity. 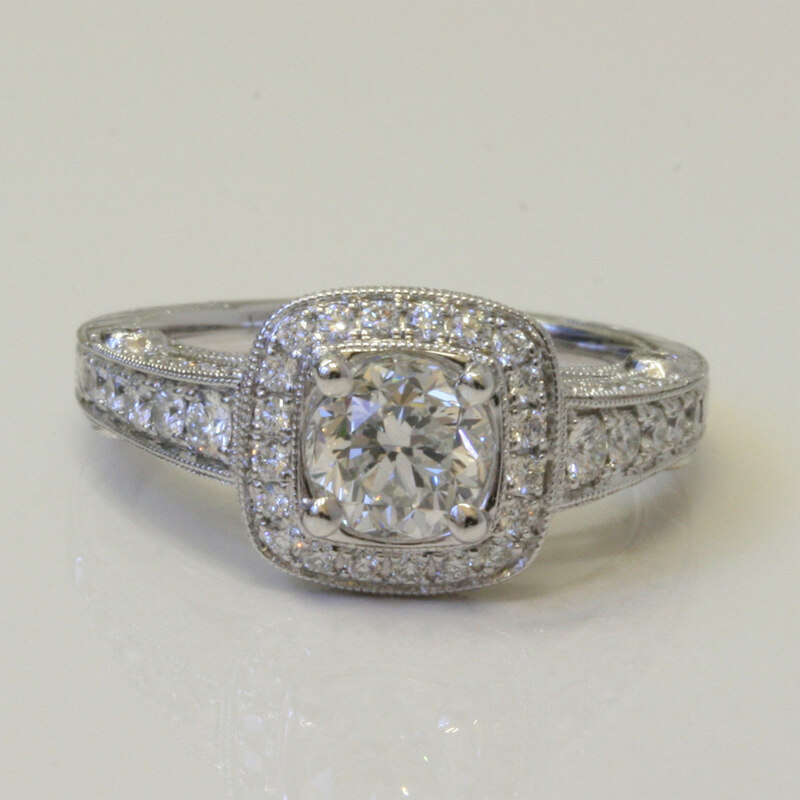 This ring is just beautiful, and how could any woman say anything other than “Yes” when she is presented with this!